The HP Winterguard won the Grand Championship in the Scholastic A Division of competition on Saturday, April 13th. The Winterguard gave a flawless performance of their show "Home" at the competition held at Red Oak High School. This win caps an incredible season for the HP Winterguard, who outscored all 33 of their competitors in the SA Division. The Guard competes with the Highlander Band during the fall marching season, and tryouts for the 2019-20 school year are April 23-25 from 4-6 pm in the HPHS Cafeteria. All rising 7th - 12th grade students may try out for the Guard. There is a mandatory parent/student meeting on Tuesday, April 23 from 6:15-7pm. For more info, please email hpcolorguard@gmail.com. 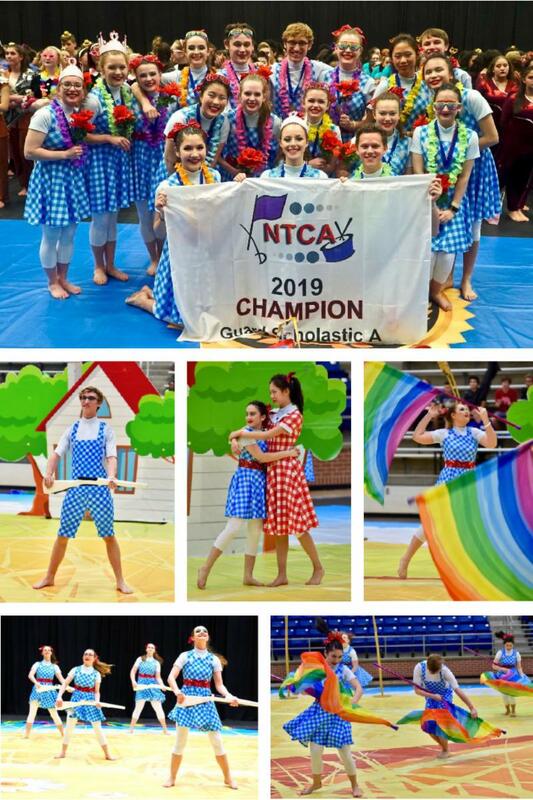 Winter Guard Brings Home Gold! 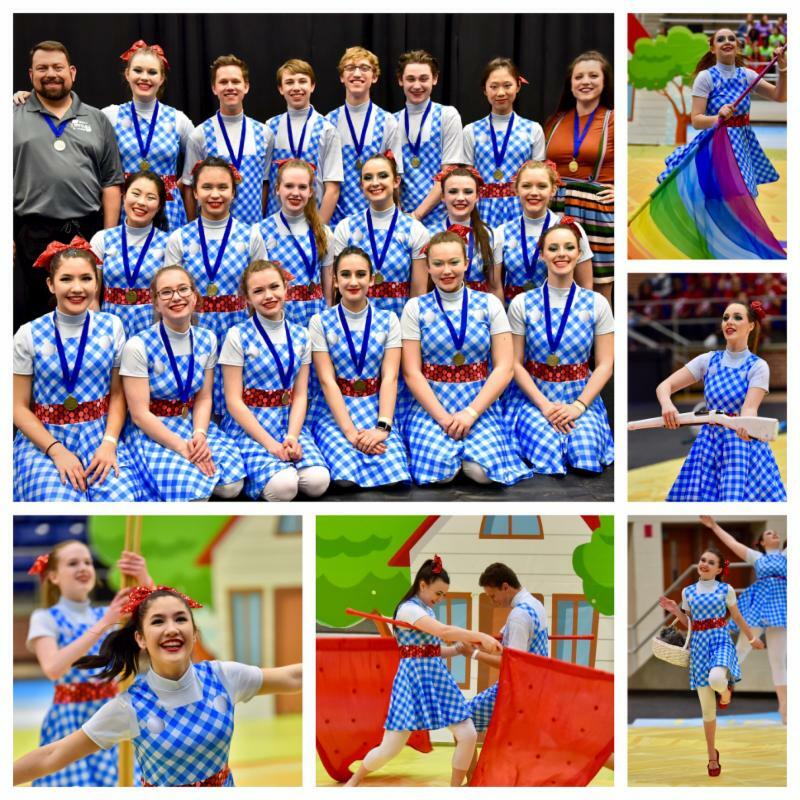 The HP Winterguard followed the blue and yellow brick road and claimed a gold medal at the North Texas Colorguard Association Championships on Saturday, March 30. Their show "Home" scored 82.540, making HP the highest scoring team of all thirty-three competitors in the Scholastic A Division. This win qualifies HP for the Guard Grand Championships coming up on April 13th in Red Oak. HP finds there really is no place like home to celebrate this enormous victory! Winter Guard Brings It Home! The HP Winterguard won First Place in the Scholastic A Division of their Contest last Saturday at Saginaw High School! 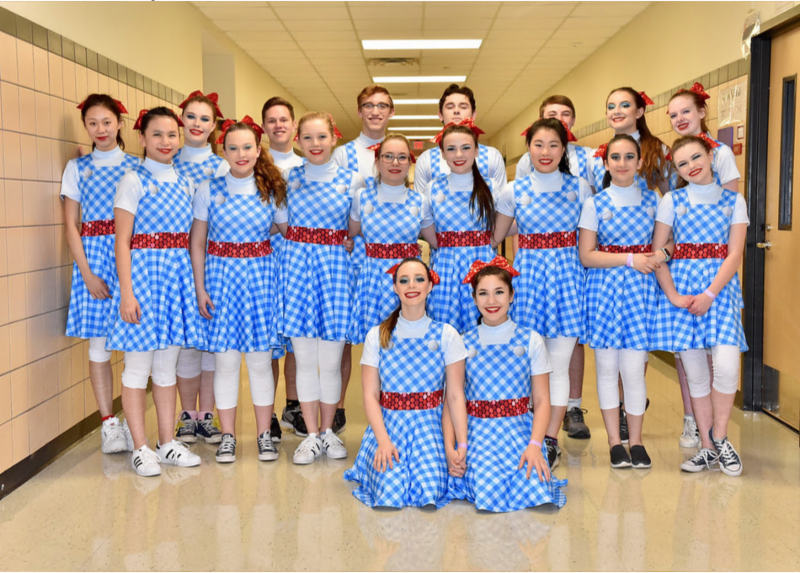 Their 2019 Show HOME is a fabulous tribute to The Wizard of OZ! Please congratulate them when you see them! HP Winterguard won first place in the Scholastic A Division competition Saturday at Northwest High School in Justin, Texas. This year’s show, entitled “Home,” is a fun depiction of what happens to Dorothy after she returns from visiting Oz. HP Winterguard scored 72.910 points for their performance. Second place went to Cleburne High School with 71.610 points and third went to Pascal High School with 70.020 points. This was the second competition of the season for Highland Park. Last week, the Guard placed second, just 4 tenths of a point behind Frisco Centennial HS. Winterguard competitive divisions are determined by the composition of teams and the average number of points earned in competition. Once a team scores above a pre-set number of points, they are moved up to a higher, more competitive level of competition. The Scholastic Division is made up of guards of varsity competitors who all attend the same high school or a feeder school of that high school. The division is divided into competitive classes based on skill level indicated by their prior scores. These begin with AAA, then AA, and progress to the highly competitive A, Open, and World classes. Only these three classes may advance to the Winterguard International (WGI) competition. Congratulations to HP Winterguard for a terrific start to their competitive season! Record Number of Highlander Band Students Earn Chairs in All-Region Bands! More than one-third of the students in the Highlander Band - 53 students total! - earned chairs in All-Region Bands after auditions on December 7 and 8. Twenty-one of these students also earned spots in Area competition and a chance to audition for the All-State Band. This achievement caps a season of significant accomplishments for the Highland Park band program this school year. During the Highlander Band's award-winning, 2018 marching season, they earned first place 5A finishes at the Duncanville Marching Invitational and the Midlothian Marching Showcase, along with multiple caption awards for best marching, best colorguard and best percussion, and were awarded straight 1s at the UIL 5A Marching Contest. In addition, the HPHS Drum Line won first place at both the Plano Drum Line and Lone Star Drum Line competitions for an historic, undefeated season. The win at Lone Star caps the drum line's most winning season to date under the direction of Highlander Band's Assistant Director of Bands and Director of Percussion James LaBrecque. Competing as part of the Highlander Band during the 2018 marching season, the drum line also earned best percussion honors at the 2018 Midlothian Marching Showcase and Duncanville Marching Invitational. The Highlander Band competed in the Duncanville Marching Invitational on October 20, 2018. Their performance earned the designation of Class 5A Champion, as well as Best Overall Percussion and Best Color Guard! Congratulations! Highlander Band opened their 2018 competition season with a Second Place Finish in finals at the highly competitive Midlothian Marching Contest on September 29, 2018. The band also came home with trophies for Best Marching and Best Percussion. The band warmed up for their prelims performance in a torrential downpour. As the rain subsided, they took the field in wet uniforms and gave a performance that earned them FIRST PLACE in Prelims. On September 15, 2018, Highlander Band had two members make the All-Region Jazz Band. Senior Ben Olness placed third chair on trombone, and Junior Robby Triplett placed first chair on alto saxophone. Both boys placed high enough to advance to the area competition, and recorded their audition for admittance into the All-State Jazz Band. Members of the State band will be announced in November. Congratulations to Ben and Robby! We Appreciate Our 2018 Major Corporate Sponsors!